Dr. Katrien Van Landeghem and Dr. Katy Sheen pop in from the muddy cold. PSO Dr. Dave Barnes is excited to process the muddy cold! 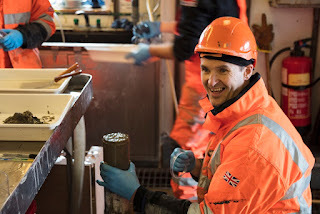 Removing collected cores from the tubes after the instrument lands on the seafloor. It is all hands on deck as we process samples from the multicorer. The multicorer is a piece of scientific equipment used to collect sediment cores from the bottom of the sea. 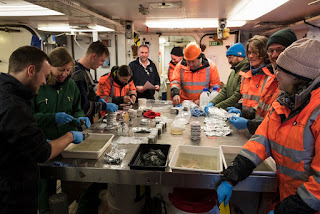 We aim to collect ten cores from three different sites along the fjord. Each core is about 10cm wide and 30cm in height. Specific cores will be used by various scientists to investigate climate change, microplastics, microfossils, sedimentation rates, etc. Towards the end of our sampling, the wind suddenly picked up with the multicore being lowered while the wind was howling at about ¬40 knots with a snow blizzard in the background. 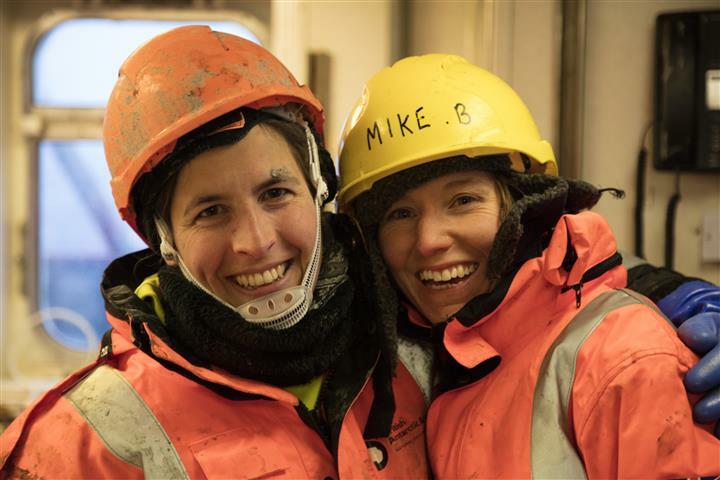 Everyone ends up covered in mud, but we are happy as clams at high tide to have our samples! Marlon siphoning water from the top of each core. 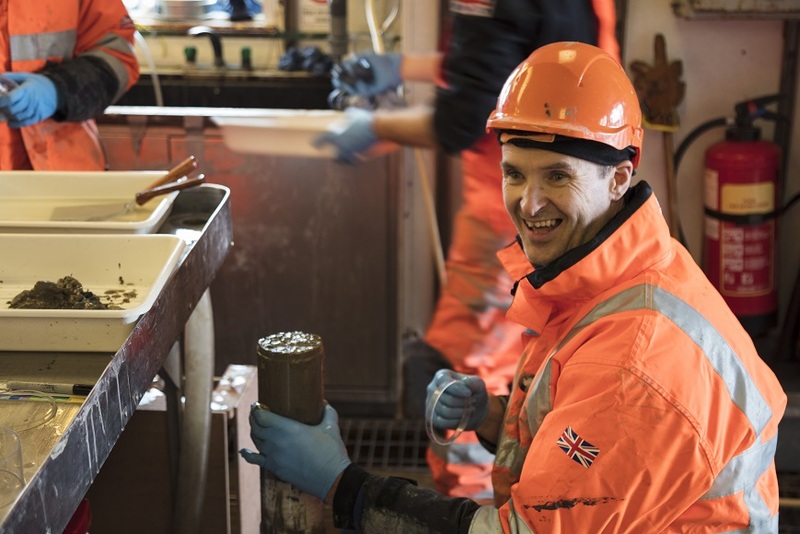 All hands on deck, including Captain Tim, for processing each core to be sliced in to 1cm disks and frozen at -80 Celsius or preserved in ethanol for future work.